City of Industry, CA, December 15, 2014 – Hikvision® USA, the North American leader in cutting edge, multiple award-winning video surveillance solutions and products, is proud to announce the launch of Turbo HD, a line of cameras and recorders that utilizes High Definition Transport Video Interface (HD-TVI) technology. This revolutionary technology allows users to send uncompressed, high-resolution video over coaxial cable. The Turbo HD product family is comprised of full HD cameras and DVRs that offer seamless compatibility with multiple video formats, from standard definition analog to HD-TVI to megapixel IP. Other benefits of HD-TVI include absence of video delay in live viewing, bi-directional signaling, and highly efficient storage, adding up to an incredible breakthrough in the evolution of analog transmission. Where previous HD video over coax methods were limited by cable type and distance, reliability, lack of bi-directional communications, and total system cost, Turbo HD addresses these challenges effortlessly. Supporting up to 1080p resolution at distances over 1500 feet, the HD-TVI signal is especially immune to electromagnetic interference. Live video can be viewed in high resolution with zero latency because the video stream is uncompressed. Bi-directional signaling allows for PTZ control and setting camera functions remotely. Turbo HD technology is ideal for migration from standard definition to high definition, maximizing return on investment because existing infrastructure doesn’t need to be replaced. Turbo HD cameras such as the 2CE56D5T-VFIT3 1080p EXIR Varifocal Turret and the DS-2CE16C5T-IT1 720p EXIR Fixed Lens Bullet provide high-definition megapixel video that installs as easily as standard analog CCTV cameras. “Tribrid” DVRs are hybrid recorders that make up another key component of Turbo HD. They can save data from standard definition analog cameras, IP cameras, and HD-TVI cameras simultaneously. Aside from the innovative technology, the open HD-TVI platform is another remarkable characteristic of Turbo HD. Hikvision is the world’s largest supplier of video surveillance products and solutions. 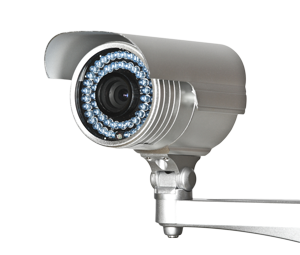 The company specializes in innovative video surveillance technology, as well as designing and manufacturing a full-line of innovative CCTV and video surveillance products. Hikvision possesses the world’s largest R&D team and state-of-art manufacturing facilities; both allow Hikvision’s customers the benefit of world-class products that are designed with cutting-edge technology. Hikvision USA is a subsidiary of Hikvision Digital Technology Co., Ltd. For more information, go to www.hikvision.com/en/us.